How does a writer reveal character in a story or novel? The usual answer is through action, speech, and then there’s also description. For these 3 elements, the writer uses various tools, of course, but the most basic are words, i.e. language. Last week, I talked about language in terms of word choice. I was also talking about the use of language to show who Pierre is when the reader meets him in the first Pierre chapter in Perceval’s Shadow. The excerpt I used was a descriptive passage showing Pierre in action as well as his thinking. This week, I want to explore that more and add the dimension of speech. Back in 2008, I wrote a post about Cormac McCarthy’s Pulitzer Prize-winning novel The Road, how the experience of that novel affected me and McCarthy’s use of Anglo-Saxon words. Through the use of ancient words, he took the reader back in time to a period in human history when survival was a primitive and violent endeavor. He created a tone, an atmosphere, to the story by using Anglo-Saxon words in his description. 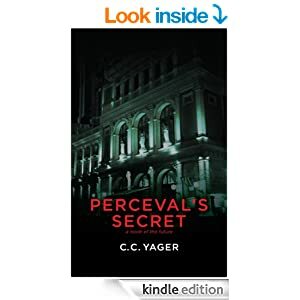 In Perceval’s Secret, Vassily Bartyakov is a young Russian pianist who grabs experience and people with such gusto, it’s hard to not to like him. He’s far from an innocent in the world, but a realist. I wanted to convey primarily through his speech, however, his Russian soul. Before I had written much, I spent a lot of time listening to Russian immigrants speaking English, watching how they used their hands as they spoke, and what about English tripped them up. I have to admit it was a lot of fun. In return, I was conversing with them, helping them with their English, explaining why weigh is not pronounced the same as conceive, and the differences among there, their, and they’re. The one element of English they tripped over all the time was the articles — the, a, an. They don’t exist in Russian, so Russians didn’t use them in English much. Another element was word order. In English, there is a definite order to a sentence. In Russian, word order depends on what meaning the speaker wishes to convey. For example, in English “I love you” is specific and set: subject, verb, object. But in Russian, those 3 words can be moved around to show emphasis and change the meaning — “You I love” or “Love I you” or “I you love” with the first word being the strongest. So for Bartyakov’s speech, I wanted to emphasize through word order and lack of articles that he was truly Russian, not an Austrian with a Russian name. Another example of revealing character through speech concerns showing a character’s level of education by the kind of vocabulary she uses. A character who has a post-graduate education and is well-read will have a broader and deeper vocabulary (and be a true challenge for a writer) than a character who’s graduated high school and works at a blue collar job. Having written that, I have also met people in life with college educations who speak with the vocabulary and understanding of 5th graders. So education is not necessarily a reliable indication of intelligence. Writers demonstrate a character’s knowledge and understanding through actions as well as speech. I love to watch fine actors at work. They reveal character by using their bodies through movement but also through clothing and grooming. The first example that pops into my mind is a description of a young woman in the 1950’s vs. a young woman today. In the 1950’s, a young woman might wear a shirtwaist dress, bobby socks, or pedal-pushers. What of a young woman today who describes her dress as a shirtwaist, her socks as “bobby socks,” or her cropped pants as pedal-pushers? What would that say about her? Fashion vocabulary changes often, morphs, and returns, but it can reveal how a character sees herself. I feel like I’ve only scratched the surface of how language or word choice reveals character in a story. It’s one of the things I’m conscious of when I’m reading novels — how does the writer use words to reveal character? Describe behavior or action? What words does the writer put in her characters’ mouths? While description of action or how a character responds to a location creates a definite image of a character in a reader’s mind, the character’s speech can support or demolish that image depending on how the writer chooses words to put in a character’s mouth.